Participants can submit their Project Ideas between 4th October, 2018 (10:00 AM) - 8th October, 2018 (11:55 PM). File Size of particular file should not exceed 5 MB. If more than one participant (of the same college or different colleges) want to submit the same Project Idea, any one of them can submit the Project. But they need to fill Online Registration IDs of other Participants during Upload and require to mention details of all the Participants in the Abstract. A Project can comprise of maximum FIVE participants only. 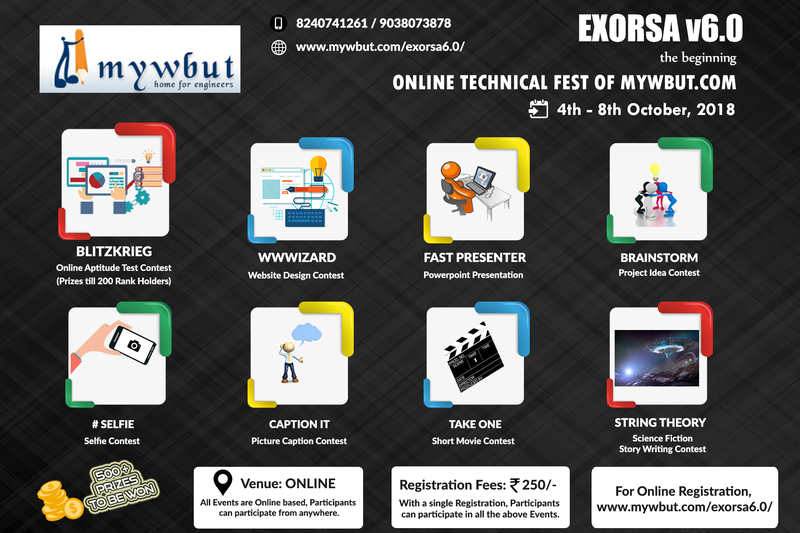 All participants must be registered for EXORSA v6.0. One Group/Team can upload only one Project.